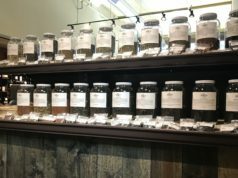 The coffee beans are roasted by Skagit-based Fidalgo Bay Coffee, where a special Signature Breakfast Blend is made for the Lynden Dutch Bakery. What’s new: ice cream + pie concoctions, mini pies and more! 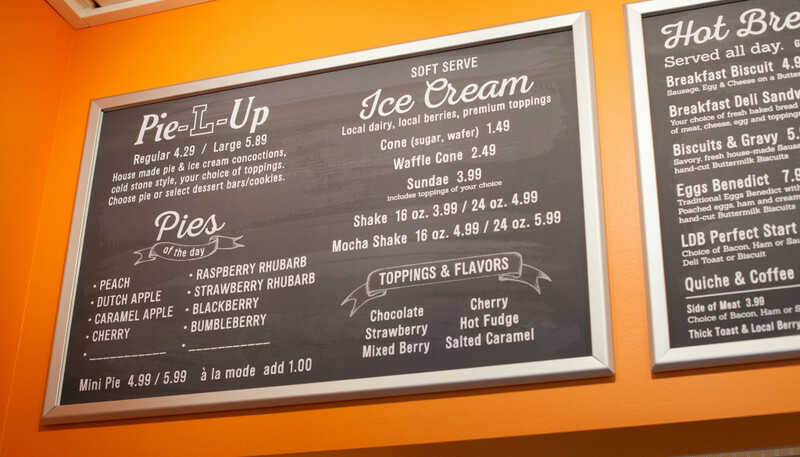 An all-new “Pie-L-Up” (pronounced ‘pile-up’) station will serve up cold stone style pie and ice cream concoctions, using the bakery’s famous house-made pies and quality ice cream. “It really takes pie to the next level,” the Simmons’ explained. A slice of your choice of pie is mixed with your choice of ice cream and toppings on a cold stone mixing bar, and served for your enjoyment on the spot. In lieu of pies in the Pie-L-Ups, select dessert bars and cookies can also be mixed in. Other ice cream offerings are also new, including sundaes, shakes, mocha shakes and cones. All local dairy and local berries are used in the ice cream treats and throughout the bakery’s offerings. 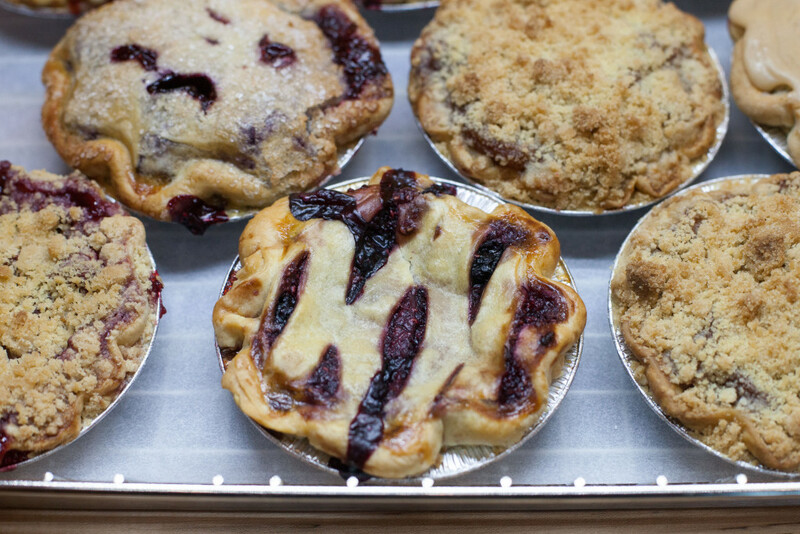 The Lynden Dutch Bakery has long been known for their handcrafted pies, and now you can take home mini pies of various flavors to please the whole family. “When dad comes home with a full-size strawberry rhubarb pie, and he’s the only one who loves rhubarb, everyone knows he’s going to hog it all for himself. With mini pies, everyone can get their favorite flavor in a perfect portion, which is enough to even share a few bites.” They come in a special microwave-safe tin for reheating as needed, and are also great for enjoyment at one of Just Desserts many tables. Full-size pies will continue to be offered in the downtown location only, along with breads, rolls and other larger packaged goods. 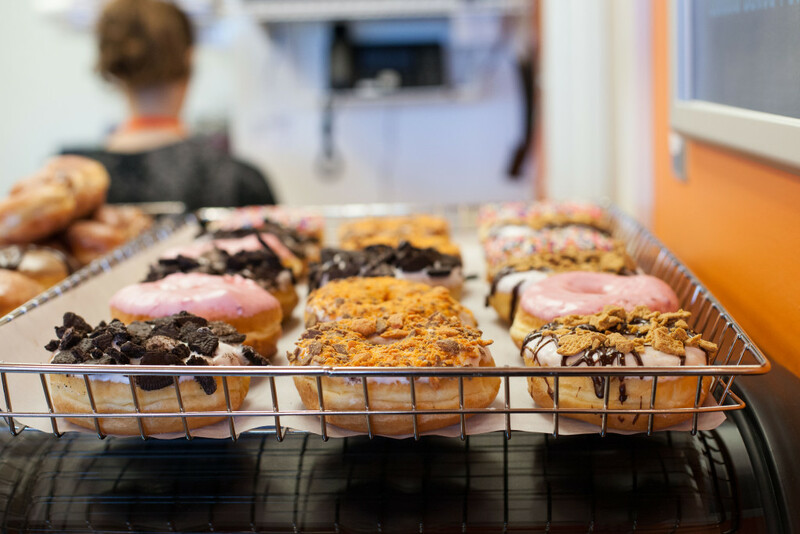 Favorites like the poffertjes muffin, almond tart, speculaas cookies and Dutch sausage rolls are surrounded by lots of bright orange color at Just Desserts — the traditional color of the Netherlands. “The Dutch are actually credited with inventing the doughnut!” It’s true — Dutch immigrants to Manhattan (then still called New Amsterdam) brought the “oliekoek”, a ring shaped fried dough-nut. 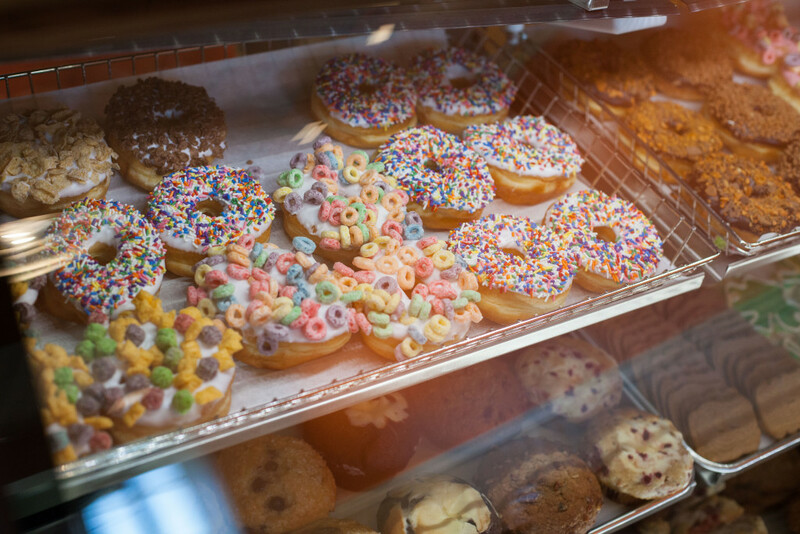 A handful of items are offered as gluten-free or sugar-free for those needing to abstain from either. Sugar-free bumbleberry pie and gluten-free dessert bars are available, along with gluten-free bread options for hot breakfast combinations and lunches. 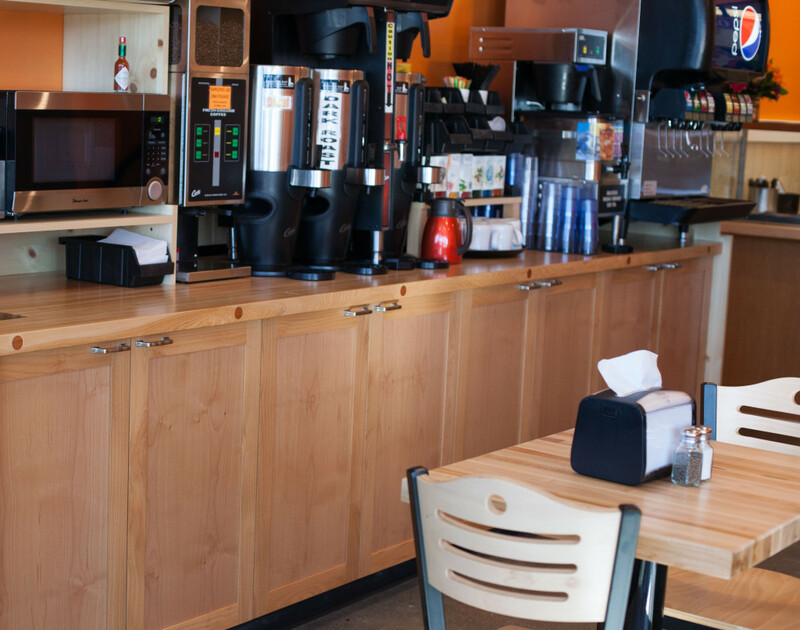 The self-serve coffee, soda and condiment bar sits atop a refinished slab of wood which was the original doughnut rolling platform in the back of the bakery located in this very spot for many years. Zach, who ran Doris Jeans in its most recent years open, continues to bake for the bakery and serve his many happy customers. 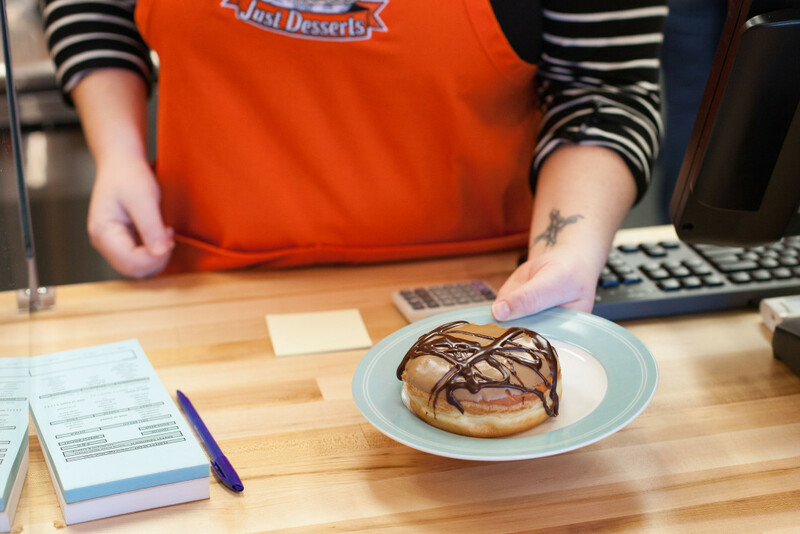 When to go: longer hours and more days to indulge! 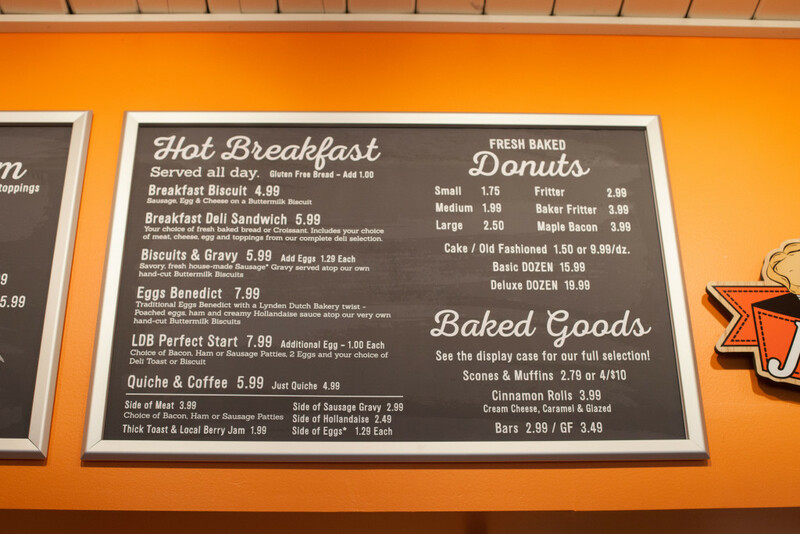 After a soft opening this week with limited hours, the planned hours are 6am to 7pm Monday to Wednesday, 6am to 8pm Thursday to Saturday and open Sundays 7am to 6pm. 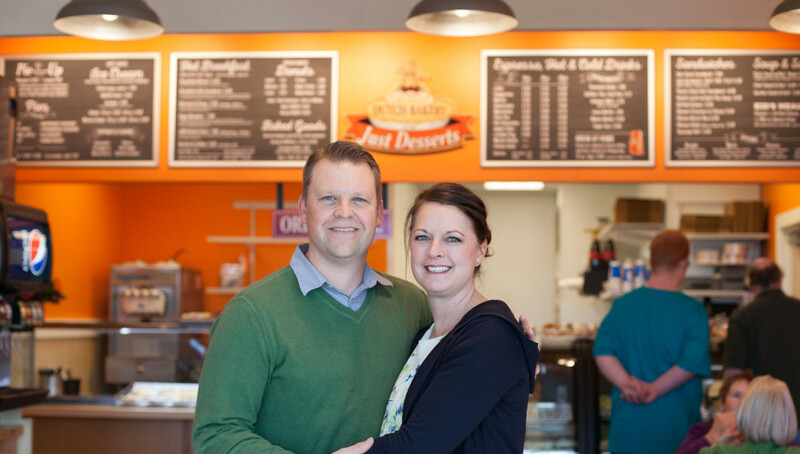 Hours can be confirmed and bulk orders placed by calling 354-3911, which will reach both the downtown Lynden bakery or Just Desserts. 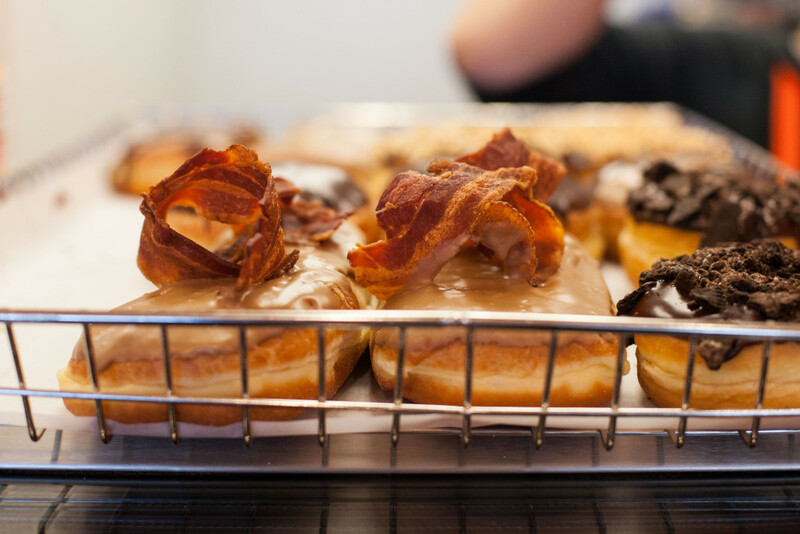 Big thank you to Lindsey of HOEK Photography in Lynden for capturing the tasty images used in this post! 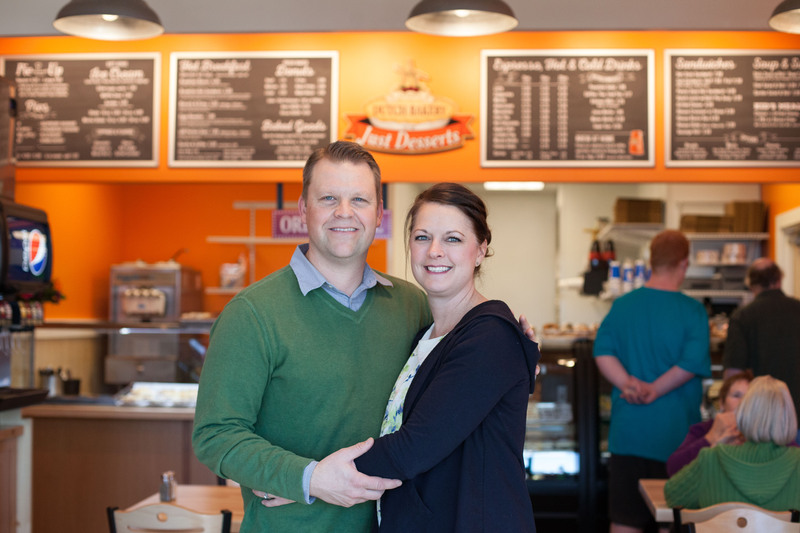 Previous articleQuick Post: Just Desserts by Lynden Dutch Bakery is open! 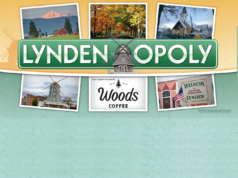 Next articleQuick Post: VOTE for Downtown Lynden to win a $25k award for improvements!